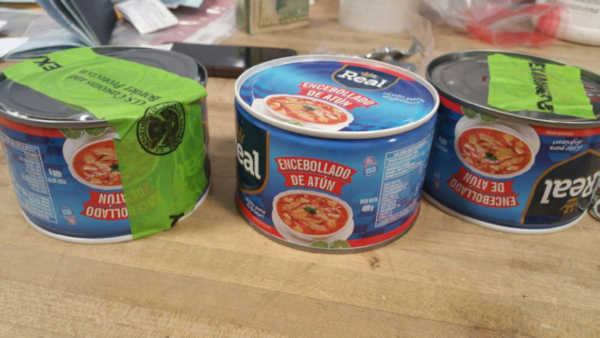 JAMAICA, Queens (WABC) -- Police arrested a man at JFK Airport, who they say was transporting cocaine in canned goods labeled as tuna and corn. On January 25th, customs and border control officers stopped Jamie Macias, who was arriving on a flight from Ecuador. While Macias was being inspected, officers discovered three cans labeled as 'tuna' and three cans labeled as 'corn' in his checked suitcase. The substance inside the six cans tested positive for cocaine. Macias was later arrested for importing a controlled substance. A total of seven pounds of cocaine with an estimated street value of $127,000 was seized.